In the last two decades, the issue of Influence Maximization (IM) in traditional online social networks has been extensively studied since it was proposed. It is to find a seed set which has maximum influence spread under a specific network transmission model. However, in real life, the information can be spread not only through online social networks, but also between neighbors who are close to each other in the physical world. Location-Based Social Network (LBSN) is a new type of social network which is emerging increasingly nowadays. In a LBSN, users can not only make friends, but also share the events they participate in at different locations by checking in. In this paper, we aim to study the IM in LBSNs, where we consider both the influence of online and offline interactions. A two-layer network model and an information propagation model are proposed. Also, we formalize the IM problem in LBSNs and present an algorithm obtaining an approximation factor of \((1 - 1/e - \epsilon \)) in near-linear expected time. The experimental results show that the algorithm is efficient meanwhile offering strong theoretical guarantees. This work is partially supported by National Natural Science Foundation of China (NSFC) under Grant No.61772491, No.61472460, and Natural Science Foundation of Jiangsu Province under Grant No. 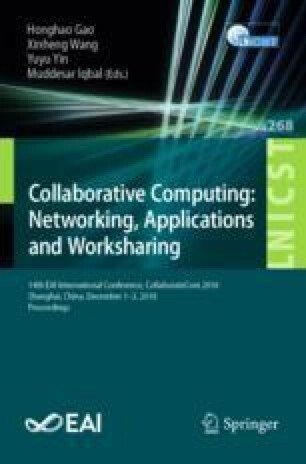 BK20161256, and Anhui Initiative in Quantum Information Technologies AHY150300. Kai Han is the corresponding author.